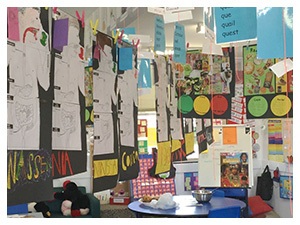 Gungahlin Primary Introductory English Centre (GPIEC) is a government-funded resource for students who have recently arrived in Australia. 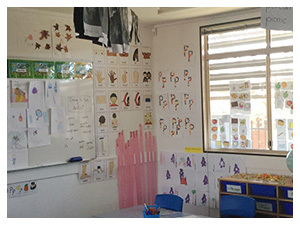 The Centre is located at Palmerston District Primary School and provides an introductory English language course for primary-aged students with minimal English. The program provides students with basic communication and literacy skills and introduces them to the life and culture of an Australian school. Although classes are separate, staff and students are part of the wider primary school community and integration occurs in a meaningful manner between students in the two programs. Students in the IEC have full access to playground, library and computer facilities, and join with the mainstream for assemblies, sporting and special whole-school events. Students usually attend the IEC for two school terms (20 weeks), though the period of time is flexible and is determined by individual needs and progress. After completing the IEC program, students are assisted in transferring to a mainstream class in their local school. Currently, GPIEC consists of two multi-age classes. One junior class and one senior class. For further information please contact Palmerston District Primary School's front office or see our enrolment page.